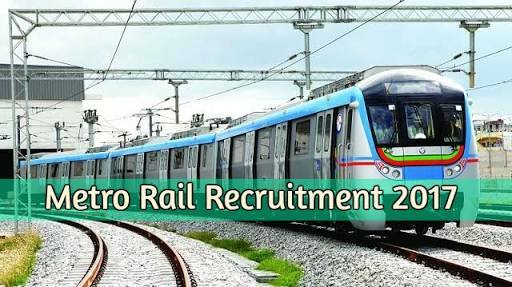 Metro Rail Recruitment 2017 | Engineer, Station Controller 115 Posts : Maharashtra Metro Rail Corporation Ltd (MMRCL) has published Recruitment notification for the 115 posts of Station Controller, Section Engineer & Junior Engineer vacancies. Eligible candidates may online from 10th October to 9th November 2017. More information please read below mention officially notifications carefully. Education qualification :B.E/B.tech. More information please read below mention officially notifications carefully. Age limit : between 18 to 28 years as on 01.10.2017. • Rs.150/- for SC,ST and women candidate through Online. How to Apply : Apply online through the official website at http://www.metrorailnagpur.com form 10.10.2017 to 09.11.2017.